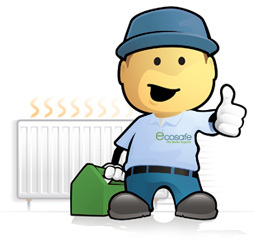 With Ecosafe you can be sure that your plumbing needs are met reliably and affordably. 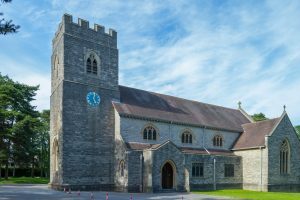 Whatever your plumbing conundrum – from a pesky leak to needing a new boiler installation or kitchen renovation – we are your reliable plumbers in Ferndown. We’re there when you need us. We believe in giving all of our customers exceptional service. As such, we use only Gas Safe engineers who are proven to be plumbing experts with exceptionally high standards. You will receive a safe, reliable and cost effective service. Plumbing issues can become household headaches. Not when you’ve got Ecosafe on board. Whatever your plumbing requirement, we’ll take away any stress. Whether you need a new boiler in Ferndown, or the peace of mind a Care Service Plan will bring, or want a brand new bathroom installed, kitchens in Ferndown, Ecosafe is the answer. Our 10 year peace of mind guarantee. Free Online Quote - instantly. Comprehensive and clear pricing to remove any hidden costs. Safe and responsible disposal of your old boiler so it’s no longer your problem. Friendly, reliable expert plumbers in Ferndown. A choice of any of our Care Service Packages. 0% finance should you need it. Ecosafe operate all around the Ferndown area. Get in contact with the heating and plumber experts. Call out without unnecessary charges to the local area. Round the clock, round the year, emergency repairs. Clear and concise pricing so that you understand your options before agreeing to any work. Free professional advice regarding your particular boiler, problem and usage. Dedicated Care Services Plans according to your level of need. Professional advice offered for free to help you make the best decisions. No hidden costs and no call out charges. You always know exactly what you are paying for. Specific landlord services to ensure you meet your responsibilities in a cost-effective way. 24 hour on-call plumbers ready to help should you have a plumbing emergency. Get your free quote for boiler installation or replacement Ferndown. For all other plumbing requirements get in touch on 0333 939 0161. We are your plumbers – your local reputable service.